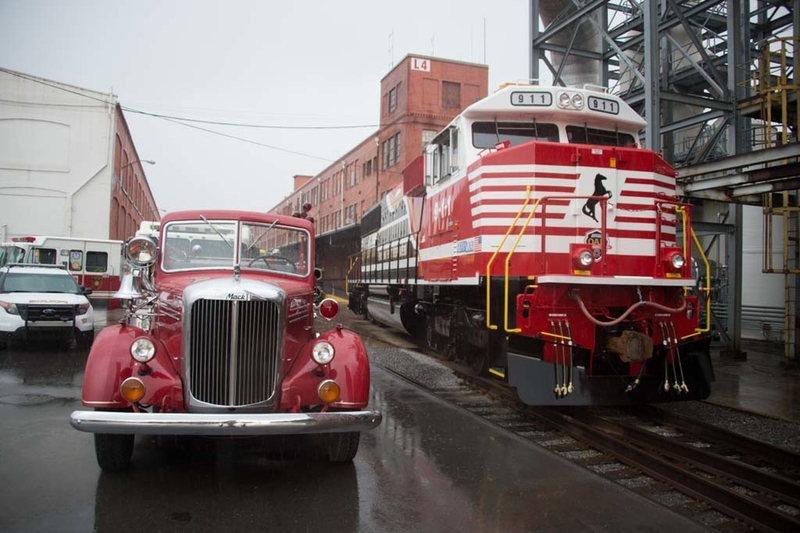 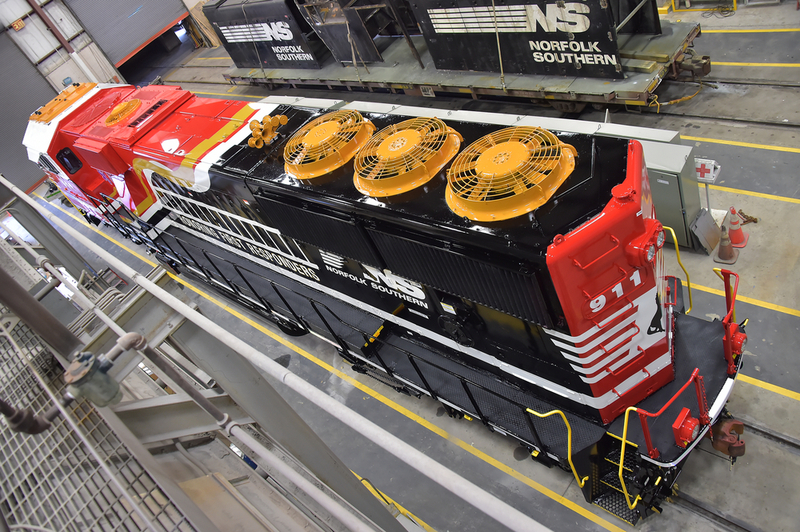 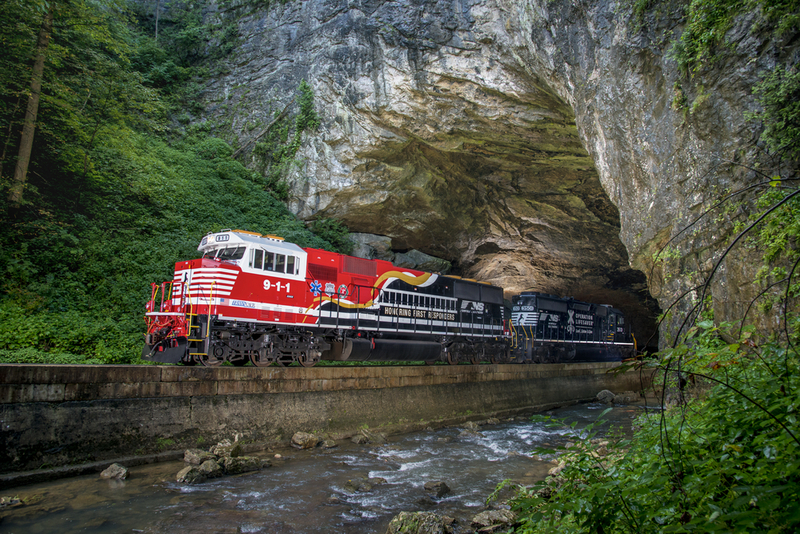 Norfolk Southern’s first responders’ locomotive, christened the NS 9-1-1-, was unveiled in Washington, DC in June 2015 and has been on the move since, visiting communities across the company’s 22-state system. 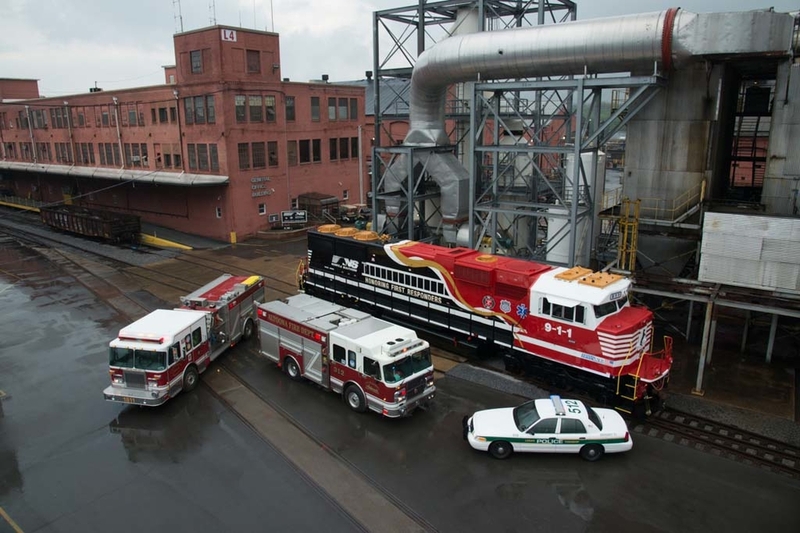 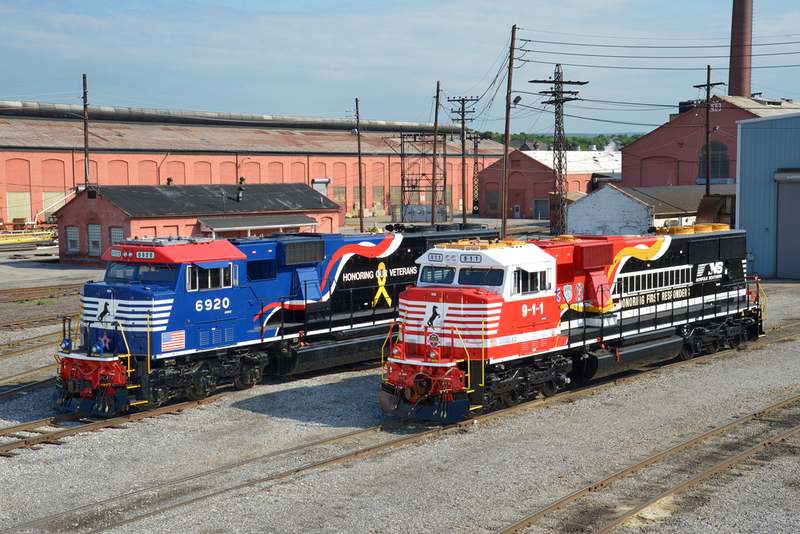 The colorful red, white, and gold SD60E locomotive – painted at the company’s Juniata Locomotive Shop in Altoona, Pa. – features the Maltese cross of fire services, the Emergency Medical Services’ “Star of Life,” and the Police shield. 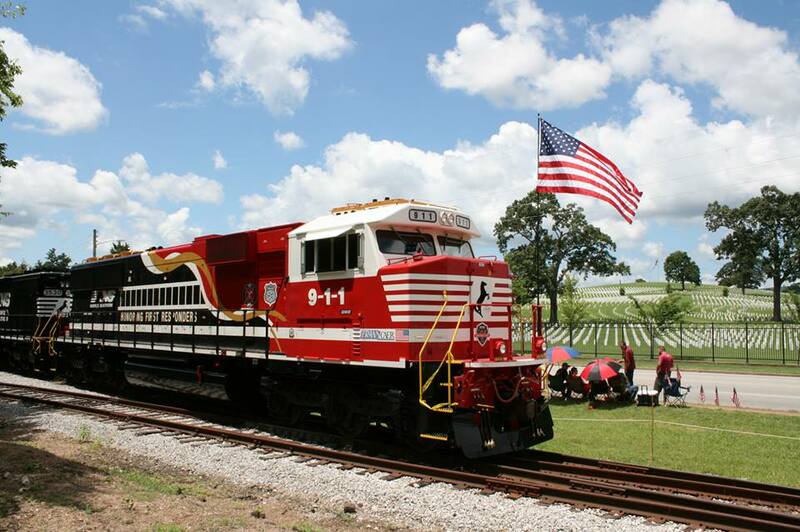 It also features the logo for Transportation Community Awareness and Emergency Response (TRANSCAER®), a national outreach organization dedicated to providing education and resources to help raise the level of emergency preparedness for the unlikely event of a rail incident. 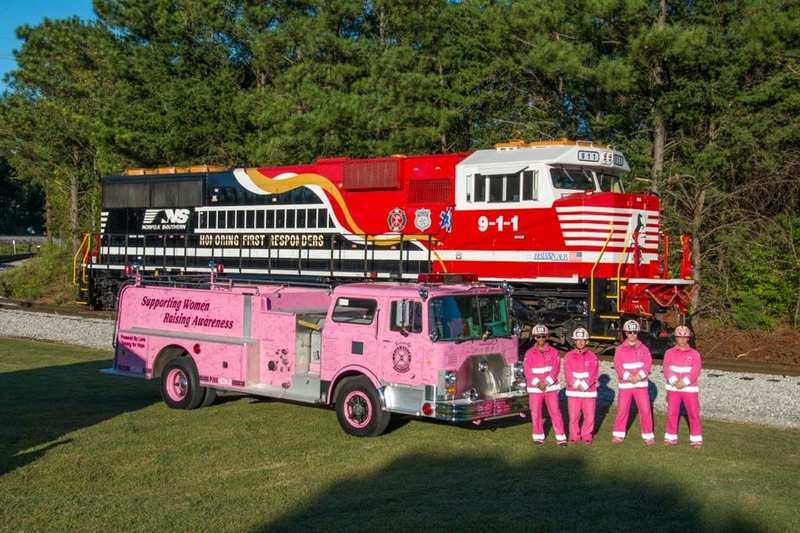 The locomotive sports “9-1-1,” the phone number to request emergency assistance, as well as the Norfolk Southern OAR shield. 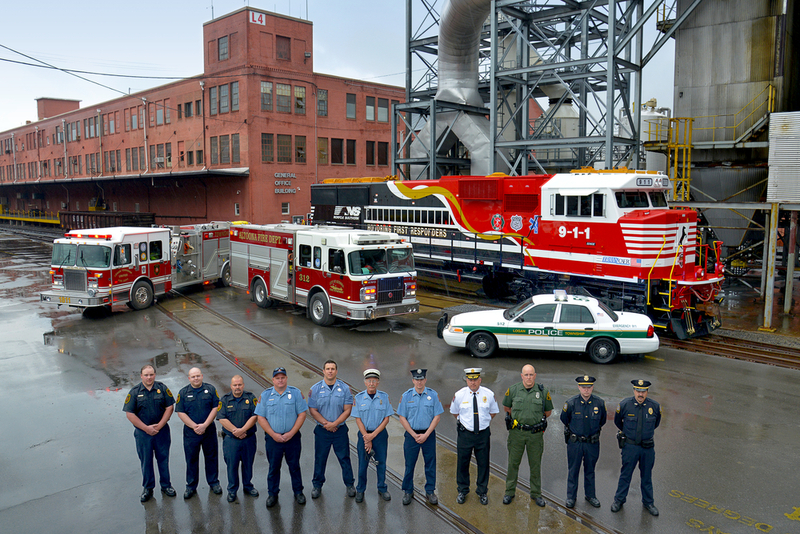 Look for the NS 911 across our system.